Avik Chakravarty is recent graduate from the University of California, Berkeley with a degree in History. He has participated in Model United Nations for 8 years, and began as freshman in high school. When Avik began attending UC Berkeley, he joined the organization Berkeley Model United Nations, and eventually served as the Chief of Staff in his final year. He has worked with Best Delegate since the summer of 2013, and has experience teaching Model United Nations in the USA, Honduras, Qatar, China, and Korea including the WFUNA Youth Forum 2014. In his free time, he enjoys playing soccer, FIFA 15, and the drum set. Brendan De Souza is a recent graduate of the University of Sheffield, UK, having earned an MA in International Studies. 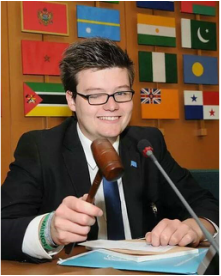 He has participated in MUN since 2009, having been elected president of the United Nations Association - University of Sheffield (the largest MUN group in the UK) in 2012-2013 and founded the Sheffield MUN conference in 2012. Since 2009 he has held a wide range of roles in within MUN, but two recent highlights are serving as a trainer at the WFUNA Youth Forum Korea 2014 and as Under-Secretary-General for the GA and Conference Management at the inaugural WFUNA International MUN in Rome, July 2014. Brendan has held numerous teaching and training positions and hopes to build on this by becoming an English teacher in South Korea in the near future. Erik Leiden is a Political Science major in his fourth year at The Ohio State University, US. 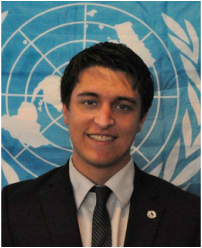 Hailing from the small city of Avon Lake, Ohio, in the United States, Erik has been involved with Model UN since 2008. Upon his arrival at The Ohio State University, Erik helped to establish OSUMUN, Ohio State's High School Model UN Conference and MUNCOS, their intercollegiate conference, as well as serving as Ohio State's Head Delegate. Erik has worked with Best Delegate and WFUNA on Model UN in Italy, the United States, and South Korea, as well as contributing to the Best Delegate website. Outside of Model UN, Erik is an avid soccer player and follower of American and Latin American Politics. Finn was born in Hamburg, Germany where he grew up for most of his life. He briefly lived in Montana, United States before moving to The Hague, the Netherlands in 2012. Finn is currently in the process of finishing his Bachelor in International Studies, focusing on the Middle East. He started MUNing in 2010 and has attended over 20 conferences ever since, participating as delegate, chair, conference adviser and Secretary-General. He has been teaching MUN for around two years and very much enjoys sharing his MUN knowledge with other eager students. Two of the highlights of Finn's MUN life was participating in the UNDPI Workshop on UN4MUN Procedures in New York in 2013, as well as acting as the President of the General Assembly of WIMUN 2014. 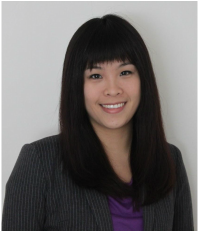 Frances Lee is a recent graduate from National Taiwan University (NTU) in the Department of Business Administration. Frances was an Instructor at WFUNA Winter Forum Korea 2014 in addition to serving as the Chair of the Committee of Food Security at WFUNA International MUN 2014 in Rome. Her delegate experience includes WorldMUN 2011 in Singapore, National MUN 2012 in New York, and Baku MUN 2013 in Azerbaijan. Frances was the Secretary General of Pan Asia MUN 2013 and a Dais member of National MUN 2013 at the United Nations Headquarters General Assembly Plenary Session, and she chaired conferences at both the high school and university level in North America and Asia. Six years ago, working with ESL students in Japan fueled Heidi Heung’s passion for teaching. Since then, she has traveled around the globe volunteering to work with children; her interaction with students of different ages has allowed her to gain valuable experiences and transferable skills. She is currently a year 5 teacher in an all-girls school in Qatar and recently attended the THIMUN Qatar Leadership Conference in October 2014. The conference sparked an interest to pursue more Model UN related events, such as WFUNA Youth Camp Korea! Jooyoung has been interested in environmental issues since childhood being member of TUNZA, UNEP’s youth education programme, and participating UNEP’s youth conference as a representative of Korea. Especially interested in sustainable development, she has led a government subsidized overseas research and investigation to Australia concerning this topic. During high school she majored in English and Spanish and has participated various MUNs as delegate, chair, and staff. 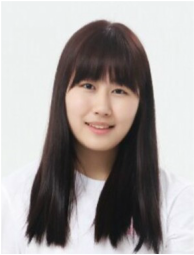 Currently she is an undergraduate in Yonsei Underwood International College majoring in International studies, and her main interest is on debate and international law. Kerry Lanzo has been an avid delegate and instructor in Model United Nations for eight years, participating and instructing in the US, Canada, Australia, and South Korea. She greatly enjoyed serving as an Instructor at WFUNA Youth Forum Korea 2014 and is eager to return to the Forum and to keep trying new Korean foods! Her professional experience includes working for think tanks in Washington, DC and Brussels, Belgium, interning for the US Department of State, and serving US Department of Defense clients as part of Deloitte Consulting. She is currently finishing her honors degree and thesis in International Affairs and History at The George Washington University in Washington, DC. Her other passions include traveling, cooking, and arts and crafts. 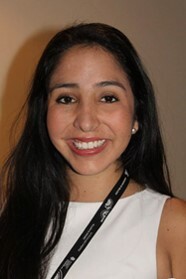 Maria Jose Pinto is a Peruvian student currently in her senior year at the Universidad del Pacifico in Lima. She describes herself as a very patient, outgoing, fun and happy person, qualities she believes she's gained thank you to one of her hobbies: Model United Nations. She has been part of the Peruvian Universities MUN team for three years now, a team which won the Best Large Delegation at Harvard WorldMUN Brussels in 2014. Maria also received the Diplomacy Award at Harvard WorldMUN Melbourne in 2013. She has gained the abilities of public speaking, negotiating and drafting through Model UN and believes thinks the best asset you can develop is confidence in yourself. 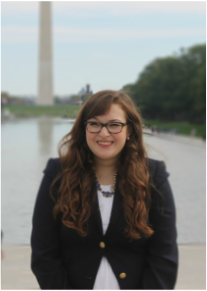 Melissa Miller is a senior at the George Washington University studying International Affairs and History. She is the current Secretary-General of the Washington Area Model United Nations Conference (WAMUNC), served as the Director of the George Washington University Program for International Education from 2012-2013, and worked for Best Delegate as a Diplomacy Fellow in 2014 and 2013. This past academic year, Melissa studied abroad in Edinburgh, Scotland and worked as a research assistant at the Scottish Parliament. Melissa is originally from Sanibel Island, FL. Miji is an experienced MUN and UN student professional who has interests in the high-level lobbying and decision making processes in the simulated and real global politics arenas. Miji loves to communicate with various people at various levels of language proficiency to share her MUN and UN Human Rights Council experiences. 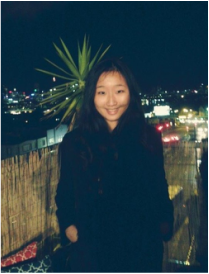 Alongside studying Politics and International Relations, Miji has worked as an independent private tutor, specialising in training second generation Korean New Zealanders' Korean and English proficiency. Miji hopes to enrich the students' MUN experience by effectively accommodating students' language needs in MUN teaching facilities and providing a fun yet real simulation of the UN decision making process. Mr. Snehadeep Kayet is presently pursuing a bachelors degree in civil engineering from KIIT University, Odisha, India. He is a certified member of Amnesty International, India and has even volunteered with the UN Information Centre for India and Bhutan (UNIC). He started attending Model UN Conferences since 2012 and has attended conferences like London International Model UN 2014, New Silk Way Model UN 2014, Kazakhstan etc. Recently he had the opportunity to work with Best Delegate in North East International Model UN Conference 2014 in Shillong, India. His keen in international affairs made him write his own research paper on Indo- US Relations which he recently presented at BITSGoa, India in an international conference. During his entire model UN career, he has served as workshop trainer and chief consultant and has also worked with organisations like UNYSAB (United Nations Youth and Student Association of Bangladesh) and AIESEC (India). 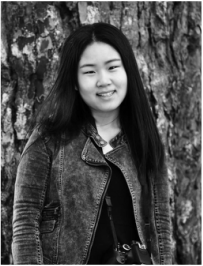 Sun Young was part of her high school’s LPCMUN team where they held regular MUN sessions with other International schools in Hong Kong. Back in 2012 she won best delegate in the annual Korean International Congress and is currently part of Sungkyunkwan University’s English debate association. This year she was chosen to represent South Korea in the annual Girls20 Summit where they hold conferences like the G20 and create a communiqué to present to our G20 leaders.